Amazon.com’s membership service, Amazon Prime, offers quite a few perks to the average user. 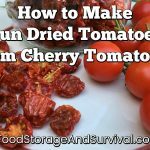 But how useful is it for getting you prepared? I’ve analyzed the service through a preparedness lens and here are five fantastic ways Amazon Prime makes preparing easy. Valid on 20 million items available on Amazon.com with no dollar limit on your order. That means if you just want a copy of my book, you don’t have to add twenty more dollars worth of items you don’t need to get the free shipping! Use your free shipping to get flashlights, survival knives, water filters, books, or even food! Use your free shipping to send things to yourself or to send gifts to your friends and family members. Remember, this isn’t the regular 5-8 day free shipping, this is the upgraded 2 day free shipping, so you can even be a gift procrastinator and still get it there in time! Or get that new sleeping bag delivered in time for next week’s camp out. How many ways can you think to use this one? Don’t want to lose your photos to a computer crash, house fire, or natural disaster? Store them on the Amazon cloud and they’ll be safe no matter what happens at your own house. Scan in documents like birth certificates, marriage licenses, passports, or vehicle titles for easy access from a location other than home. Make a folder with photos of the contents of every room in your house for your homeowner’s insurance. And of course, preserve precious memories of the most important people and events in your life. 3. Access to streaming videos. Now, some of these shows will be a complete waste of time, but there are some survival themed shows available to stream for free with Amazon Prime like Hunger Games, World War Z, Seven Alone, or Collapse. There’s usually something that can be learned from a survival themed show. Date night, anyone? To listen to while you work on one of these Weekend Preparedness Projects! And all the money you would have spent buying albums can now be used for food storage! 5. Free e-books to check out. Perusing the titles available for free download for Amazon Prime members brought up lots of preparedness related books, including edible plant guides, The Survival Medicine Handbook by Dr. Bones and Nurse Amy, various titles by Creek Stewart, and even my book, Food Storage for Self-Sufficiency and Survival! These e-books are available at no charge, just like checking a book out of your library (minus the late fees)! Amazon Prime is priced at $99 for the year. That’s just $8.25 per month. 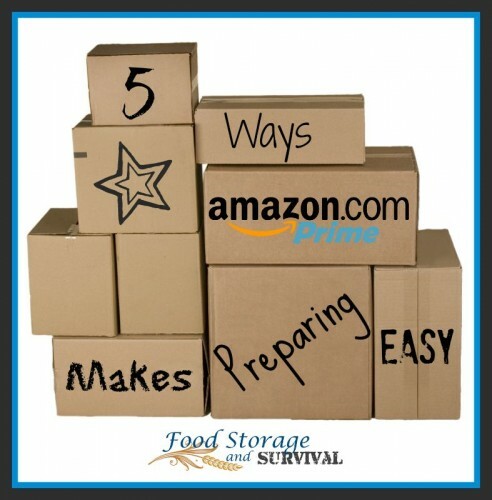 Make preparing easier, head on over and get yourself set up with Amazon Prime.